At Apres Furniture we provide a wide selection of Marble and Glass Tables for a variety of applications: for use in the boardroom, executive suites, corporate office meeting rooms and conferences. 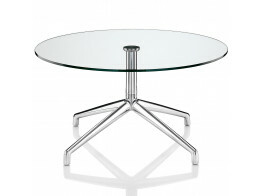 We supply Marble and Glass Tables in a variety of different shapes such as square, rectangular and round glass meeting tables, as well as impressive boat shaped boardroom tables, glass coffee tables, dining tables and poseur tables, suitable for a variety of surroundings from a restaurant dining area to meeting or reception environments. We have supplied our clients with Black Emperador marble, as well as coated or natural marble and arabesque Carrara marble with anti-stain treatment. Please give us a call to discuss your requirements so that we can accommodate your request. With modular glass tables, lighting can be integrated inside the table top, creating a visually impressive surface for conferences and meetings.Glass tables can be lacquered - gloss black or white is a popular choice – whilst we also offer textured glass tops, smoked grey safety glass, tempered clear or extra light glass. With our Marble and Glass Tables frame choices vary, from cast aluminium with a powder-coated or polished chrome finish and stainless steel base options. Marble and Glass Tables are a great way of enhancing your meeting room environment with designer glass boardroom tables and solid marble meeting tables. Please contact us directly so we can discuss your requirements for Marble and Glass Tables. 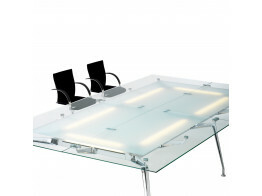 Ahrend 1200 modular table design incorporates lighting within its glass or acrylic surface. 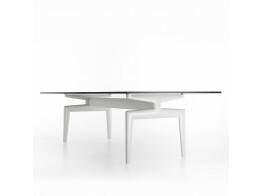 The Flow Table's frame is lacquered in gloss black or white, beautifully bearing the glass/carra marble top. 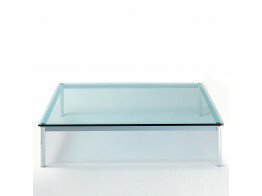 LC10-P Low Coffee Table for reception and modern lounge areas. Square or Rectangular only. 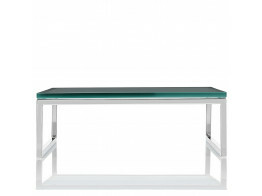 Layla Table’s elegant style fits in any corporate environment from reception to lounge areas. Kruze Table Series is available in three different heights: Coffee table, Meeting table and Poseur table. 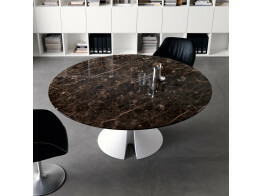 Ola Meeting Tables with cristalplant base and glass or Black Emperador marble table tops. 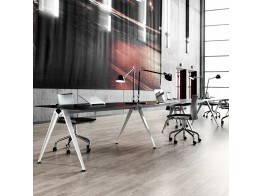 Grip Bench Table is a beam supported worktop for teams to work side-by-side in the office. 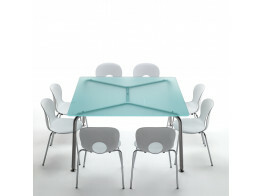 Alex Table is a collection of glass meeting tables with base in cast aluminium. Matches Alexa Chairs. 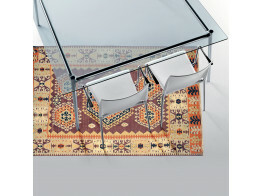 Convito Glass Tables are made of high quality materials. Rectangular version seats 6-10 people.